Did you know that carrots are in season in the winter-time? This recipe uses the whole vegetable to help reduce waste. Wash and dry carrots well. Cut off the greens from the base, and finely chop. Roast carrots in the oven for 10-15 minutes. Meanwhile, add the chopped carrot greens into a bowl with the spices and minced garlic. Gently stir in vinegar and oil. 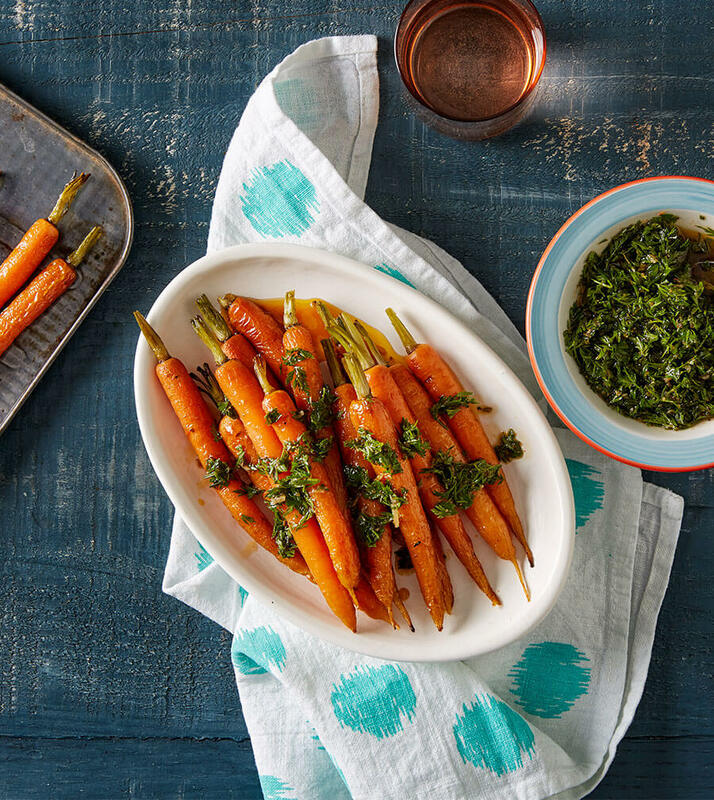 Serve with roasted carrots, fresh bread or with other roasted veggies.